The story of modern civilization is one of a continuous suffering that is often out of sight and out of mind. While the people of the wealthy nations reap the rewards of comfort and convenience, a trail of blood it has left behind. As Malcolm X pointed out many years ago, the wealthy have exploited the weak since the beginnings of time. Wealthy Europeans set out into the world for riches and power, believing themselves superior through the color of their skin, their religious beliefs, and their civilized way of life. They used advanced weaponry to enslave and murder millions of native people on every continent from the Americas to Africa–Australia to Asia. Each conquest saw the brutal exploitation of innocent people and the plundering of the lands they had lived on for thousands of years. Sadly, this is a story that continues to be told in many places throughout the world. The brutality still exists in 3rd world countries when militant regimes are put into place to aid in extracting resources that benefit the corporations of wealthier nations. Even within our own nation we continue to find exploitation of the people in areas that have been deemed “national sacrifice zones” by Chris Hedges and Joe Sacco in their book Days of Destruction Days of Revolt. Appalachia is one such sacrifice zone. When we look back through the history of our beloved mountain home, we find it was a land brutally stripped from its native peoples not once, but twice–both times by men seeking nothing but riches and power. Wherever forests have not been mowed down, wherever the animal is recessed in their quiet protection, wherever the earth is not bereft of four-footed life – that to the white man is an ‘unbroken wilderness. But for us there was no wilderness, nature was not dangerous but hospitable, not forbidding but friendly. Our faith sought the harmony of man with his surroundings; the other sought the dominance of surroundings. For us, the world was full of beauty; for the other, it was a place to be endured until he went to another world. But we were wise. We knew that man’s heart, away from nature, becomes hard. Even when forced into the idea of borders and land ownership, the Native American’s view of land ownership was never to dominate and extract from land, but to protect the circle of life, especially from the greed and destructive ways they had witnessed amongst “civilized” European settlers . Eventually those Native Americans were forced to give up their lands, selling them to dishonest surveyors and politicians as they tried desperately to keep their traditional way of life. 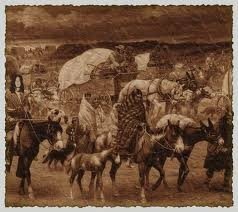 It did not matter, for as much as they yielded and conformed to the ways of society and civilization, they were still made to walk the Trail of Tears as heathens—savages. Only Mountaineers remained in Appalachia, and while many did not subscribe fully to modern civilization and an economic way of life, they were at least white and couldn’t be driven from their lands as brutally as those whose skin was a different color. Decades passed and little changed in the mountains. Then, with the industrial revolution came the need for resources along with capitalists seeking to make great fortunes. Just as the Native Americans had been cheated of their lands by dishonest land surveyors, land agents from northern cities took advantage of the simplicity and good faith of mountain people, tricking them out of their land with offers of money for virtually nothing. Those people were then ripped of their land by broad form deeds and all but enslaved in coal camps working for company script. When Appalachians resisted the cruel hard labor imposed upon them by the greed of wealthy white men in northern cities, they found themselves being dehumanized in newspapers. The proud Appalachian was turned into uncouth, uneducated hillbillies who were “barbaric,” and “knife happy.” Not only did such stereotyping make it easier for the national conscious to suffer the horrendous treatment and loss of life i n coal mines, it detracted from coal miner’s struggles for better safety legislation and working conditions. For over 50 years Appalachian coal miners walked their own version of the Trail of Tears. Thousands of men and boys died in coal mines owned by wealthy white men, their families kicked out on the streets when they could no longer pay for company housing. 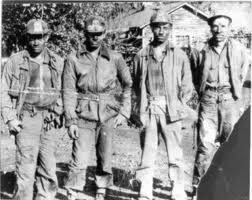 Still, their skin was white and eventually they would gain some ground through the power they created within the United Mine Workers and the help of lawyers who could play the game. Thinking back, we were not so different from those First Peoples. What our forefathers once saw in the land as God’s gift, First People’s saw as the Great Creation—as our Mother. We to were once content in living simply, tilling the land for the food we ate, using only what we needed, and giving when we had plenty. Our lack of greed became the means of our ruin as it had become for the First Peoples. When we became obstacles to greed and power, society turned our way of life into the savagery of heathens—marking us forever as uneducated undeserving people. Our bits of land have since become our own reservations, surrounded by land owned and destroyed by coal companies, watching our once proud heritage slip through our fingers. Appalachian people have been coerced into a dependency on money and food from outside of the region and so have given up their freedom to wealthy corporations. 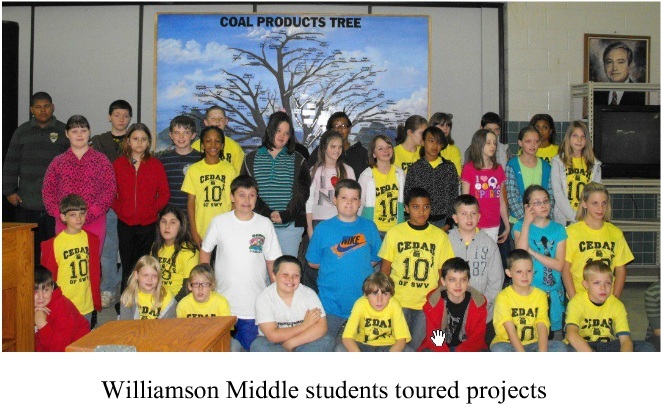 The coal industry infiltrates schools, indoctrinating our children in this belief, telling them that coal mining is the best thing for Appalachia, that coal mining is their future, and that they should be proud of their coal mining heritage. When I bare witness to this, I cannot help but think of the mission schools that took Native American children from their parents and intentionally kept them from their traditions, teaching them how to become “civilized” people. In a way, what is happening with Appalachian children is much worse however, for the future they are being indoctrinated to will eventually choke their lungs with coal dust and destroy their backs as they forever destroy the land and their own sources of fresh water. A handful of Appalachians still choose to see the problem, and they, like anyone else who feels compelled to seek justice, join in the struggle against those who exploit us.Those few true Appalachians understand to, that they are not alone and that the injustice and inequality they witness exists everywhere the global economy touches. They understand the destruction of villages and communities throughout the world, and the fear other people have for the lives of coming generations. It is for this reason that I am not surprised to hear the voices of other nations at environmental protests. 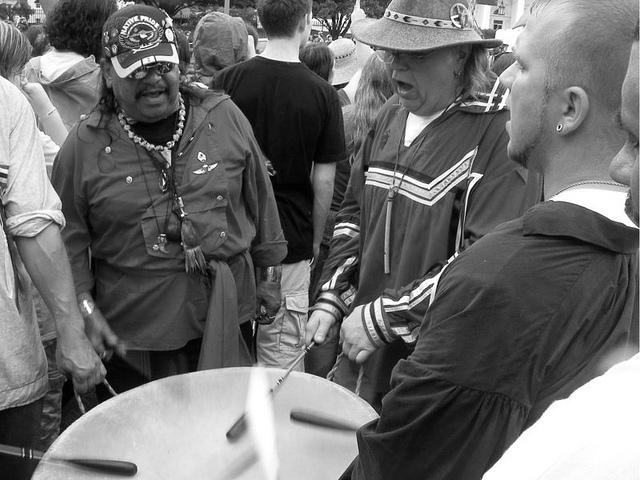 I am not surprised to hear the drumming and singing of Native Americans as I march down the streets of Washington DC in an attempt to protect the land and water from the same greed that has plagued our world for thousands of years. We are all bound together in the protection of life, not just our own, not just human, but all life. We are a part of the world, tied to one another and tied to the web of life. Only “white devils,” with a thirst for money and power, only those whose hearts have been away from nature to long, would think otherwise. Is it Trump or Urban Provincialism? Great Post Nick. A friend of Mine has written some great poetry that kinda of goes along with this post. Thanks for the link. Some good stuff there! Free will. We chose to work in the mines and our families and nation prospered b/c of our choice. Mining helped win two world wars and played a pivitol role in saving untold millions of lives. No race or nation has gotten it all right, but the individual liberty afforded to us in America gives us the best opportunity to strive toward the goal of all mankind being viewed by the quality of their character, above all. The blame game is tired and irrelevant in 21st century America. With the incredible almost limitless opportunity given to every Amercan, oppression is chosen by the oppressed b/c it’s easier for them to blame someone for their self imposed woes than it is to get off their government supported couch and work. Free will and personal liberty…the inheritance of every American. How you use it, or not, is your choice.